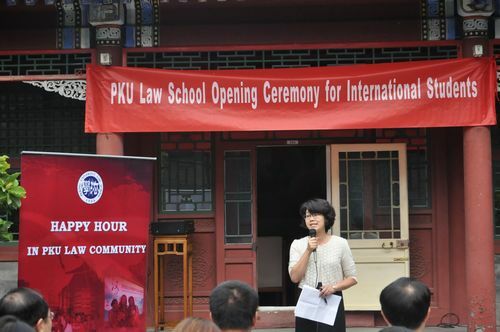 In this beautiful golden season, a ceremony for 2014 international students of PKU Law School was held in the courtyard of law school. Professor Zhang Shouwen, Dean of Law School, Vice Dean Professor Wang Xixin, Vice Dean Professor Guo Li, faculty representatives Chen Ruoying, Jiang Su, Liu Gang, Li Yuanyuan, Xu Xiaoying, Zhao Xue, Yuan Hui, and new international students attended the ceremony. 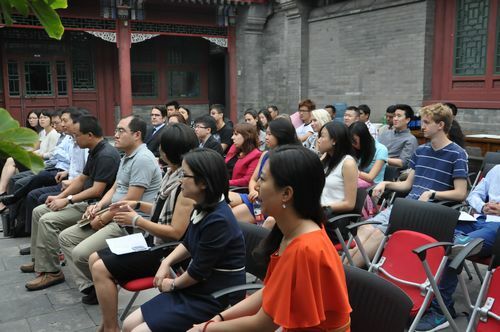 Professor Zhang first gave a warm welcome to all the new comers. He said PKU Law School is like a big family, new members coming from all over the world contribute to PKU Law's diversity. 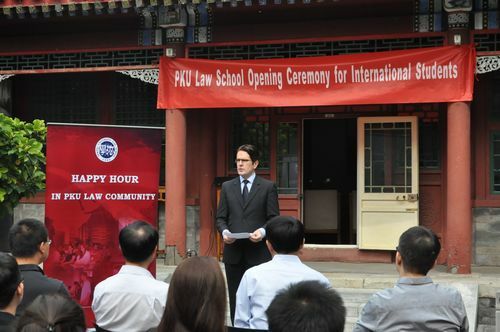 He genuinely hoped that everybody would gain a pleasant experience at PKU Law. Chen Ruoying, as a faculty representative, gave a speech saying that new international students would have a good understanding of Chines legal system as well as Chinese culture through this platform. 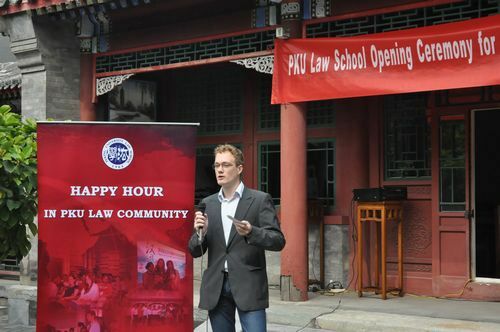 Law School will provide students with high quality teaching, and international students are expected to communicate with Chinese students and learn from each other for mutual progress. Jeremy, Mark, and Maarten, as student representatives, shared their experiences in PKU Law and expressed their excitement as PKU new students. 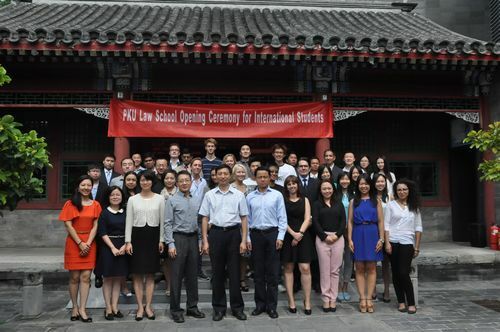 They believed that PKU Law School is the best place to study Chines law. The opening ceremony ended happily. After the ceremony, participants took part in the "Happy Hour", where teachers and students fully enjoyed merry communication.